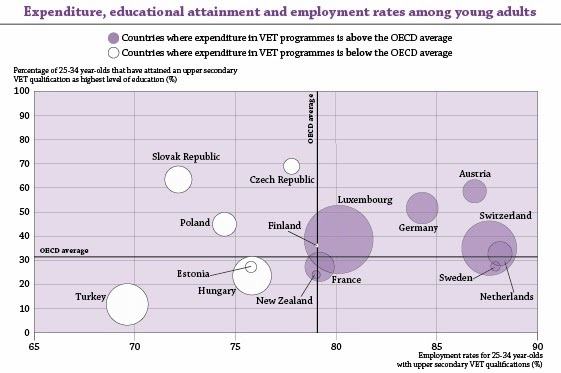 In 2010 the OECD published Learning for Jobs, a major review of vocational education and training (VET). The economic crisis has since continued to worsen the job prospects for young people in many OECD countries. To counterbalance governments have increasingly been looking to strengthen vocational tracks in secondary education as a way to better prepare youth for the job market. The evidence base on VET remains weak, however Education at a Glance is providing improved data on VET systems and the latest issue of Education Indicators in Focus draws attention to some interesting findings. I have mostly good memories of my high school years in São Paulo, but among them I have one that might sound bizarre. There was never any toilet paper in the school restrooms. Back then, someone explained to me that the reason behind this was vandalism. Students would perform various acts of vandalism, such as making little balls of wet paper to throw at the ceiling or to clog up the toilets. My school was not considered particularly “difficult”. 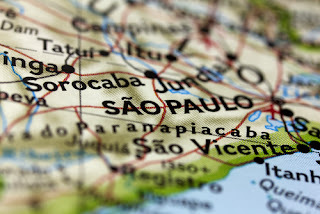 In fact, I had to compete with other students to study in that school, because it was considered one of the best public schools in my hometown, São Paulo. Recently, I learned that this remains a very common concern in Brazilian public schools. Numeracy test scores of tertiary graduates and teachers One of the most frequent claims I have heard from people trying to explain poor learning outcomes in their country is that their teachers come from the bottom third of their college graduates, while high-performing countries recruit their teachers from the top third. It sounds plausible, since the quality of a school system will never exceed the quality of teaching. And, surely, top school systems pay much attention to how they select their staff. They work hard to improve the performance of teachers who are struggling, they provide an environment in which teachers work together to frame good practice, and they establish intelligent pathways for teachers to grow in their careers. What do we really know about teaching? I have often heard it said that everyone thinks they are an expert on education simply because they went to school. This is an overstatement, of course, but it does seem today that more and more people have – and express – an opinion about teachers and the quality of their teaching. But what do we really know about how the majority of teachers are teaching today? 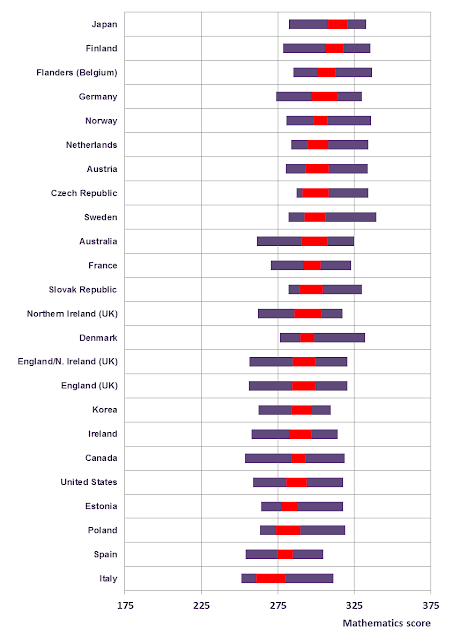 Data from the OECD Teaching and Learning International Survey (TALIS) show that on average across TALIS countries, 13% of teachers did not receive any appraisal or feedback on their teaching. In several countries, this number approaches a quarter or even half of teachers in the country. 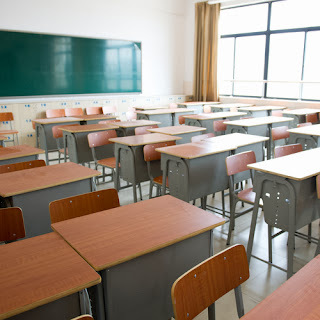 One can imagine these teachers as completely alone, teaching with the door closed and never receiving feedback on how to improve their practice. 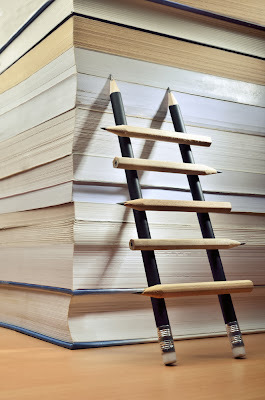 Reforming education systems: Where to start? 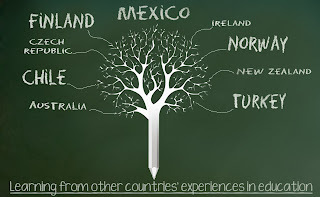 Today the OECD Education Policy Outlook series is publishing five new country profiles: Chile, Finland, Mexico, Norway and Turkey. Policy makers and educational professionals will gain key insights into other countries’ recent experiences in education. These summaries outline how countries have responded to common challenges and provide lessons learnt about the different policy options adopted, as well as reflections on how to make reform happen in education. It’s PISA time again. So? Results from the most recent round of PISA surveys are scheduled for release in less than one month (3 December). Why should you care? Time for the U.S. to Reskill? A few decades ago young people in the United States were among the most educated in the world, but other countries have caught up. Today, despite still being relatively highly educated, the skills of adults lag behind those of adults in many other countries. This has been revealed by the new international Survey of Adult Skills (PIAAC), which measured the skills of adults in 24 countries. 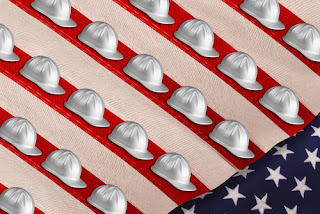 A newly published report, Time for the U.S. to Reskill?, looks at the U.S. and draws some challenging policy conclusions. One in six adults in the U.S., about 36 million people, has weak literacy skills – they can, at best, read short texts and understand basic vocabulary. In Japan the comparable figure is one in 20. In the U.S. nearly one in three have weak numeracy skills against a cross country average of one in five. 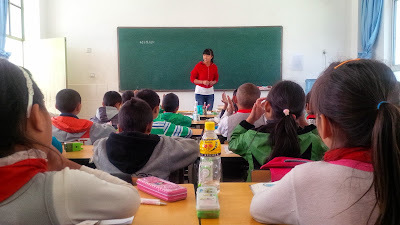 Mr. Huang became principal of Qiao Tou Lian He school at the age of 25, not because he was specifically trained for the post, but because he had been the only educated person in his village. He’s a dynamic leader who is squarely focused on supporting, developing and evaluating his teachers, of whom only a handful have a high school degree and more than basic teacher training.